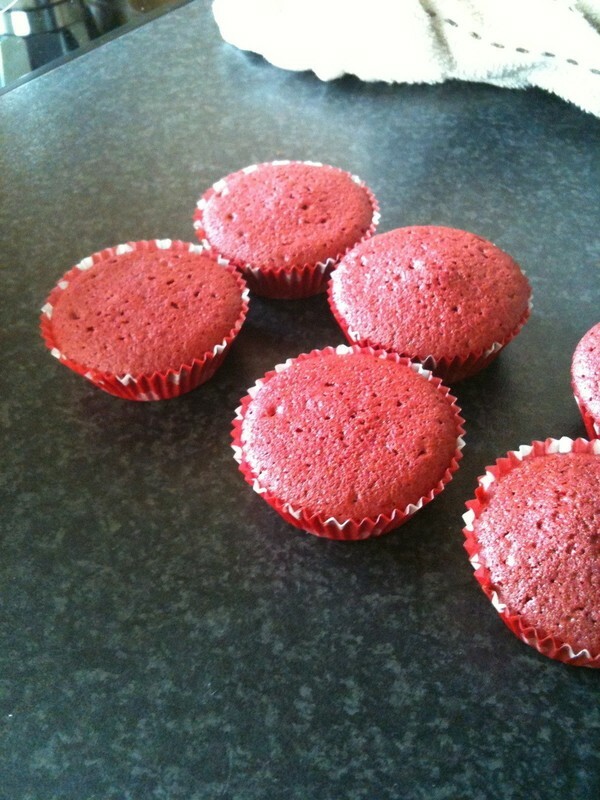 After trying several recipes for red velvet cake, from America, I finally found one that has just the right consistency! It's bright, moist, dense and generally lovely. THE PROPER "YOU WILL NEED" SECTION KEPT MESSING UP. It might have come out alright by the time I published this but I didn't have any faith in it :). Mix sugar, butter and egg.. I used standing mixer with 2 whisk attachments. In separate bowl mix cocoa powder, food colouring, vanilla flavouring. Makes a sort of paste. Add paste to mixer or bowl with the egg butter and sugar. Add half the butter cream, half the floour, keep going til it's all mixed well. Put into cupcake cases... now, American cupcake sizes are more like British muffin sizes. So the recipe will make 12 large cupcakes or about 16 or so small British size ones. Bake at 170 degrees Celsius, about 340 degrees Fahrenheit, gas mark 3. First time the frosting went a bit wrong, probably because I unknowingly had low fat cheese. It tasted good regardless, and I'm sure the fat content is what made it a bit runnier than you'd want. 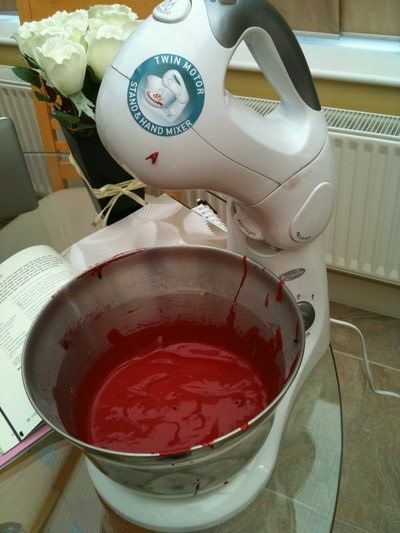 Make sure you don't over-whisk or you'll loose the whipped firm consistency. About 5 minutes but be careful once it gets stiff. 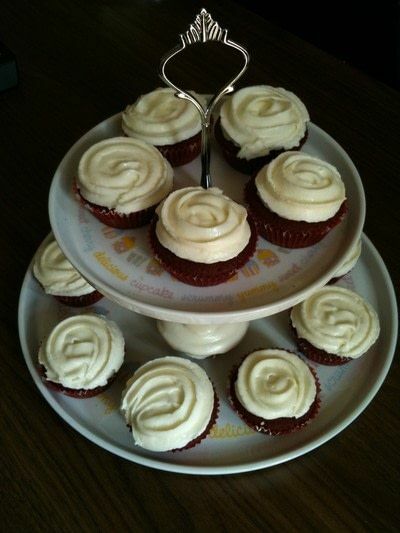 Frost your cupcakes ^_^. It is of course very important that the cakes are cold when you do this. Any warmth will melt the frosting away. Yes it is baking soda! Sooo sorry Scarlet-Begonias .. had a lot on my plate lately. I just checked and it is indeed baking soda. Confusing I know, since there's baking powder, baking soda (US) and bicarbonate of soda. is "bicarbonate of soda" what we call "baking soda" in the states? Wow they look so yuuuuuuuummy!!! Thank you ^_^. They did have just the right texture and even after being in the fridge for as long as I could resist eating them or giving them away they didn't dry out and stayed irresistible . Next mission, layer cake! 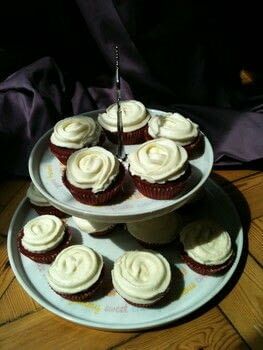 I'ma huge fan of red velvet, and let me tell you, these look absolutely delicious!